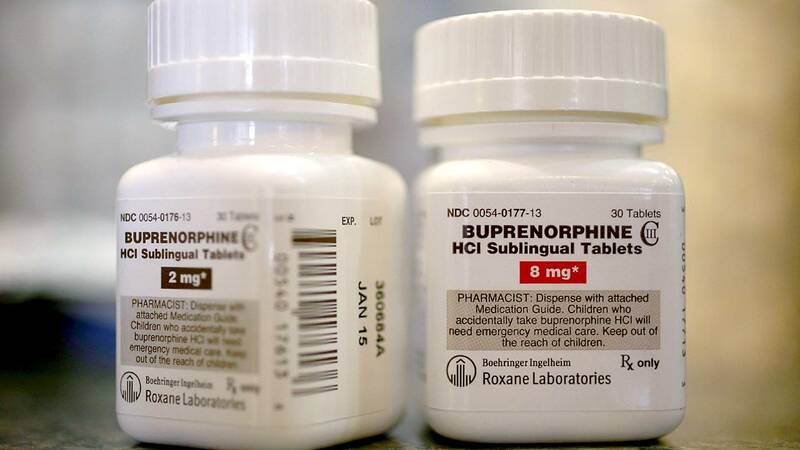 (CNN) - More than 11,200 calls concerning children's exposure to buprenorphine, an opioid medication used to treat opioid use disorder, were made to US poison control centers from 2007 to 2016, a new study found. Eighty-six percent of the exposures were in children below the age of 6; 89% of the exposures were unintentional. "This is never prescribed for children under 6. It is a significant risk to them," said Henry Spiller, director of the Central Ohio Poison Center and an author of the study, published Monday in the journal Pediatrics. "We're not quite sure why it stands out so much. Perhaps the parents who have this may not think it's as risky as their other opiates because it doesn't have the big effect that the other opiates do for them," he said, in reference to the medication being left out or within reach of children who then try it. Experts view these numbers as an unintended consequence of medical therapy being provided to those who need it, said Dr. Jason Kane, an associate professor of pediatrics and critical care at University of Chicago Medicine Comer Children's Hospital. Among the 11,275 children exposed, the overall exposure rate per 1 million increased by 215.6% from 2007 to 2010 (from 6.4 to 20.2), followed by a 42.6% decline from 2010 to 11.6 in 2013, before increasing by 8.6% to 12.6 in 2016. "This is not the first study to show these data, but it is the latest study to show a medication whose design it is to help adults with narcotic or opioid addiction is ending up poisoning, mostly unintentionally, children and in particular those who are most vulnerable," said Kane, who was not involved in the new research but led a recent study that found the number of opioid overdoses among children had nearly doubled since 2004. Buprenorphine is both a stimulant of opiate receptors and a blocker, explained Spiller, who is also a diplomat of the American Board of Toxicology. As a result, it does not provide the same "high" that other opiates do, but it is still an opiate. "In adults, the respiratory depression, the part that slows the breathing and you stop breathing, is limited, and so there's a lot less respiratory depression in adults," Spiller said. "That's why it was felt to be safer. Unfortunately, in very young children under 5, preschoolers, toddlers, infants ... that protection isn't there, and they do get this respiratory depression. It does affect their breathing." Adolescents may not have the same risk as 5-year-olds, but they aren't immune, he added. "Real significant effects are additive. They get worse when you start adding in things like alcohol, maybe another drug, other things." In fact, though adolescents made up just 11% of total exposures, 77% of those exposures were intentional (with 12% suspected suicides), and more than 25% used buprenorphine with at least one other substance, according to the study. "It was surprising that adolescents were actually using it for abuse. It's very specific," Spiller said. "You have to be in a program to get this. It's carefully managed. It's not widely available. ... It is available on the street, but essentially, the majority of this is from these management programs and someone's in therapy, someone in the house, them or a family member." Though more than 60% of the buprenorphine abuse and/or misuse was in male adolescents, female adolescents accounted for almost 60% of the suspected suicides within this group, the authors note. "In adolescents, there's a risk where we start to see an increased risk of suicide attempts, just as a part of adolescence," Spiller said. "But if this is in the home, this is a really potent drug. They may attempt to add this in or use this as whatever drug they're using for suicide attempts." The study's authors expect that with about 2.1 million people in the United States having an opioid use disorder and 11.5 million misusing prescription opioids, the number of children and adolescents who are exposed to buprenorphine will continue to rise. "You'd be hiding under a rock if you didn't realize there's a big opioid crisis going on, and this is one of the treatments for that addiction," Spiller said. "A number of these programs are trying to expand to accommodate a lot of these opiate-addicted patients, so I would expect to see more of this." Nearly a quarter of the children under 6 who are exposed spend time in intensive care, Kane noted. "This burden we're putting in the health care system is entirely preventable," he said. "These are children who do not need a hospital if not but for the fact that they were accidentally poisoned by medications that were not designed to be taken by them." The study's authors recommend exposure prevention aligned with the children's age group. For example, manufacturing unit-dose packaging instead of an entire bottle of pills would help prevent unintentional exposure among young children, while locking medications away on a shelf can help keep teenagers out. The approval of a buprenorphine subcutaneous implant in 2016 may also reduce children's access, the study noted because the patients with an implant would not have pills for children to get into. Other suggestions include disposing of any unused medications, keeping child-proof caps on containers and leaving medications in their properly labeled boxes or bottles, Kane said. "Seven children under the age of 6 died as a result of an accidental poisoning from this drug, which was present in someone's home, prescribed with the goal of making someone else better," Kane said adding, "that's a striking thing for me."